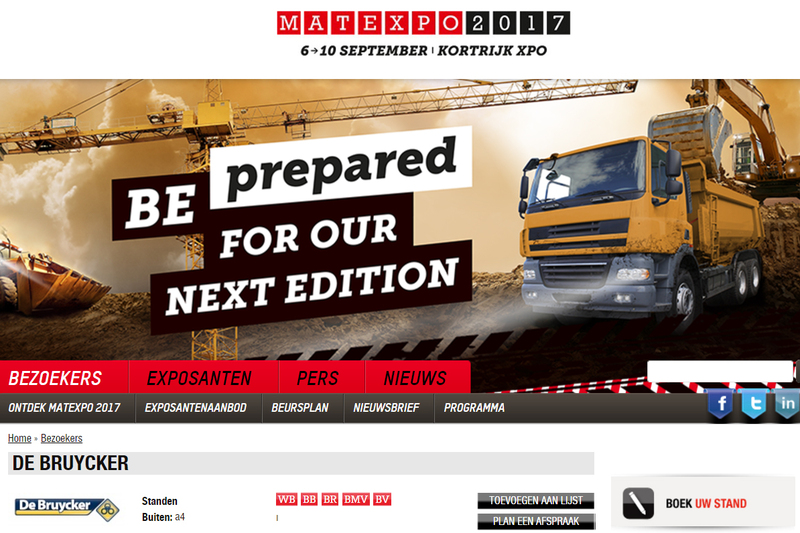 Matexpo - Kobelco Construction Machinery Europe B.V.
Kobelco dealer DE BRUYCKER (Belgium) is attending MATEXPO – a biennial international trade fair for building equipment at Kortrijk Xpo. As the third largest trade fair of its type in Europe, it has an established reputation and receives more than 40,000 visitors. The 350 exhibitors are mainly importers of machines for building, recycling, civil engineering, material handling and cleaning.